Nestled into a hillside and surrounded by ancient oak and olive trees in the heart of Sonoma wine country, Olea Hotel is a small boutique hotel set on a historic property with unique amenities. It features modern guest rooms, massage services, outdoor hot tub, outdoor firepit, and an exceptional two course breakfast experience. Complimentary amenities include: local wine, outdoor hot tub, free business class free WI-FI, and Friday afternoon wine tasting. 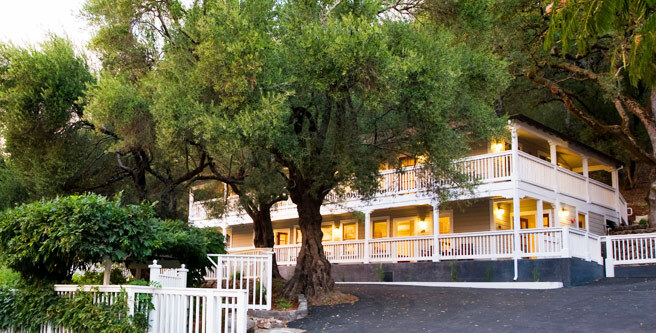 Olea Hotel is located in historic Glen Ellen (10 minutes north of Sonoma). Nestled into the hillside of a quiet residential neighborhood, Olea Hotel is central to most Sonoma wineries. 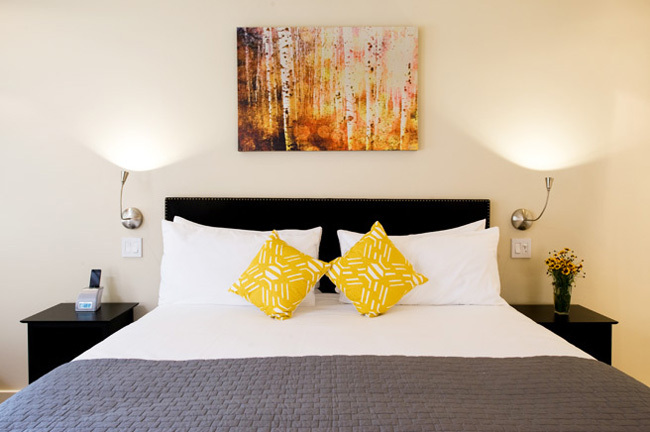 Olea Hotel is walking distance to downtown Glen Ellen, including various restaurants, bars, and wine tasting rooms. 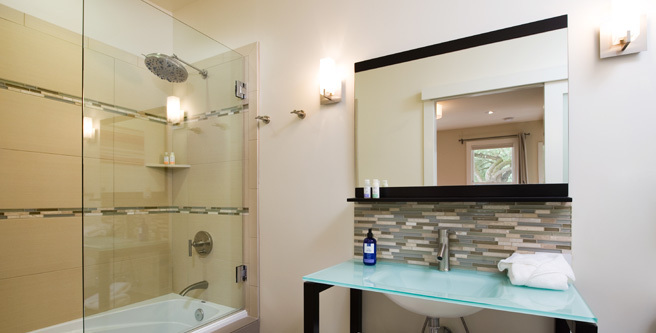 It is the perfect location for a romantic wine country getaway! At Olea Hotel, we have a variety of room types that will suit your traveling needs. In our Hillside Building, we have King rooms (one with fireplace), a double-queen room, and standard queen rooms. 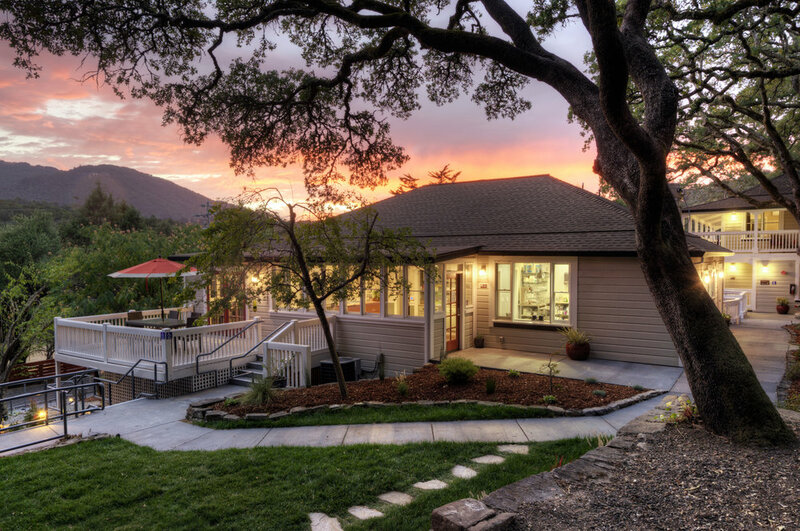 We also have two stand-alone cottages separate in a private garden area, two lobby king guestrooms, and an additional Hillside Building where there are three upper view king rooms that have a magnificent view of Sonoma Mountain. With a distinctive menu designed by our Executive Chef, Khambay Porterkhamsy, Olea Hotel’s complimentary breakfast includes a two-course plated breakfast entrèe of the day, along with our delightful breakfast buffet. The delectable breakfast entrèe of the day will start with a first course of seasonal fruit, followed by a savory entrèe. Guests also receive complementary local wine throughout their stay. “Exquisite rooms, gourmet breakfasts and impeccable service make this a real find." Come experience the many unique benefits of staying at Olea Hotel.